Slow is a project going back almost four years and with an album U (Bebyne Records) warmly welcomed by the specialised critics. During this time, and after concerts everywhere, it has grown and matured, becoming a stable quartet with great affinity and musical communication. The compositions are originals, written with the aim of creating a thoughtful, sincere dialogue helping to compensate for the impossible pace at which we have to live, this time accompanied by one of the greatest singers in the country, Carme Canela. 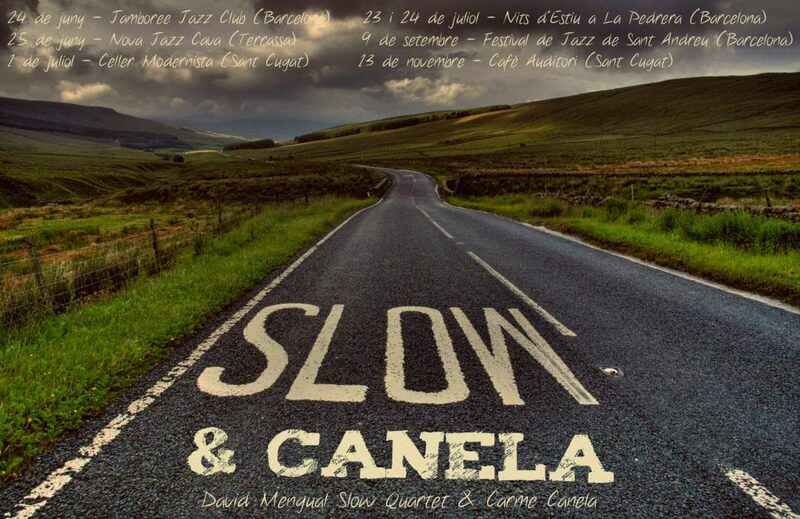 After this year’s tour, Slow & Canela will record a new album to immortalise this most productive time. Carme Canela vocals, David Mengual double bass, Miguel Villar saxes, Dani Pérez guitar, Oriol Roca drums.